Today’s post is about time and how it freaking gets away from me every day. Plus some other random updates, but what the hell. What would a 2N blog post be without some randomness thrown in? Point #1: WordPress informed me when I logged in that it’s been 18 days since my last post. WHAT? I was so proud of myself for posting daily and it seems like I only missed a couple days. Not so. Point #2: I was going through pics of Pee Pants today, and found these. The picture on the left was taken on June second, after I’d had him like a week, and the one on the right was taken today. That’s the SAME BOWL! He’s gotten so freaking big! The last time I took him to the vet, I’m pretty sure he weighed in at 65 lbs. 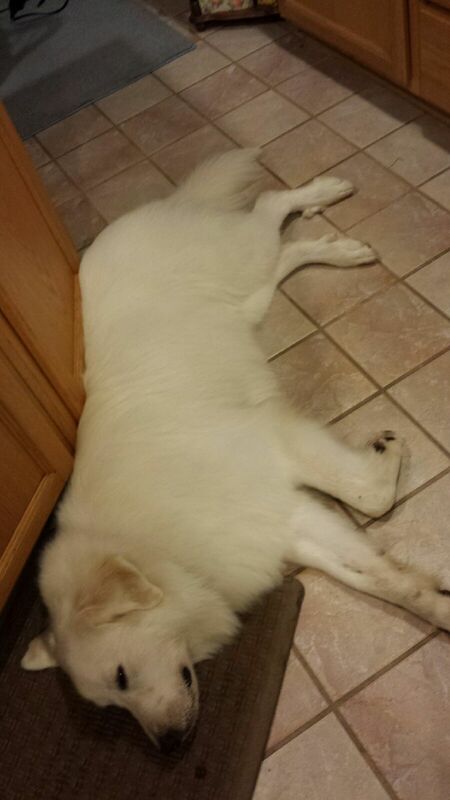 Now it’s almost time for his ball-snipping (sorry dude) and I bet when I take him in he’s going to be like 75 pounds. At least! He’s a monster. At least he’s stopped peeing on the floor! I might have to come up with a different name than Pee Pants. Point #3: It is already OCTOBER. I could swear that just like, a few days ago I was in Mexico, and a few days before that, I was getting ready to go to my mom’s for Christmas. Point #4: The ranch dip which I swear I bought less than a week ago already has fuzz growing on it. If that’s not a sign of time mysteriously disappearing, I don’t know what is. In other news, we finally found a permanent home for Fuzz Face. Her new family seems pretty happy with her, though they mentioned the barking and I gave them what sympathy and advice I could. I console myself by telling myself that I did mention the barking when we did the interview. I did. Here she is post-adoption and after a trip to the groomers! She looks so pretty! And tired, I guess it was a big day for her. It’s about time for me to check in again with them and see if she’s still doing OK. I just got back from another trip to LA. While I was there I snagged another new name to add to my list of Weird Names Starbucks Baristas Give Me. Is it just me or is this one “Plane”? 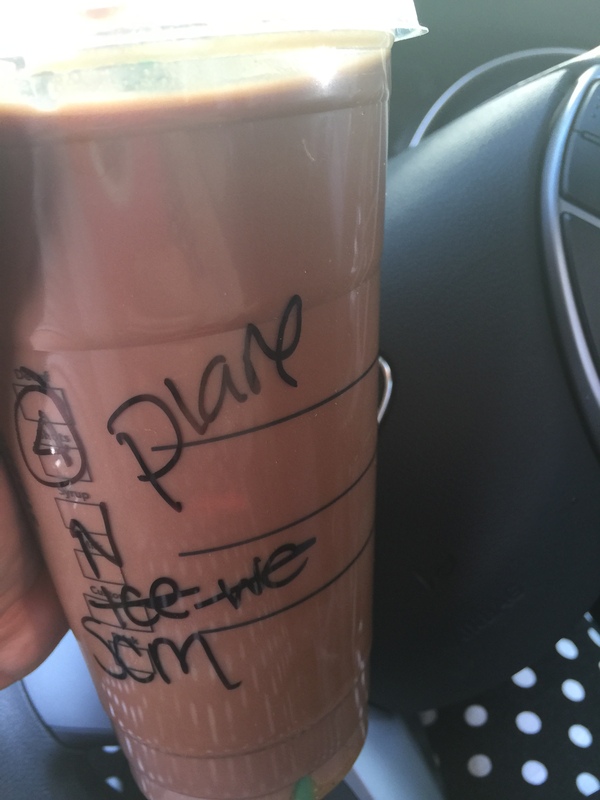 I also discovered a brand new thing at Starbucks, which is now my go-to travel lunch. One Protein Box in the morning, and for lunch…one PB & J Snack Box! I’ll let you know that I almost put two exclamation points there but I didn’t, because. 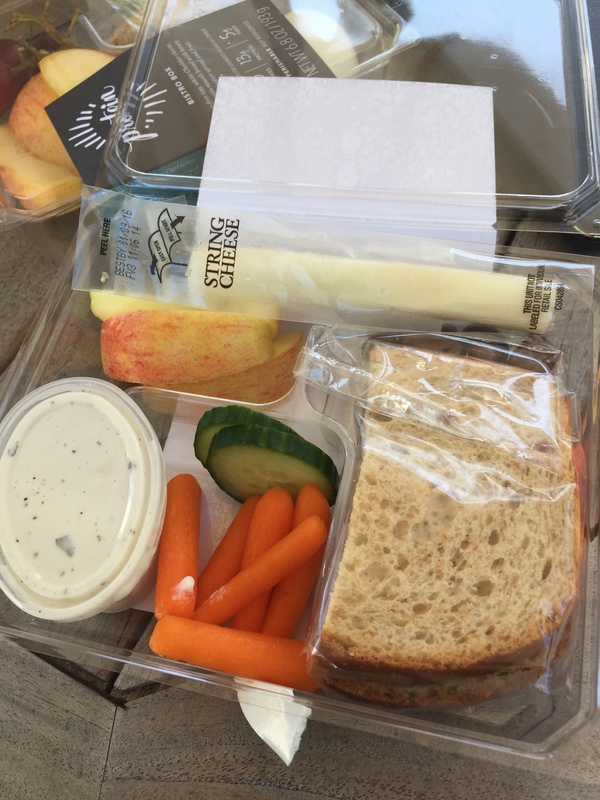 That’s a peanut butter and jelly sandwich on wheat, baby carrots, cucumber slices, ranch dip, apple slices, a string cheese (!) (!!) and underneath, where you can’t see well, are chocolate covered raisins. Whaaaaaaaaaaat? It’s all my favorite things in a box! 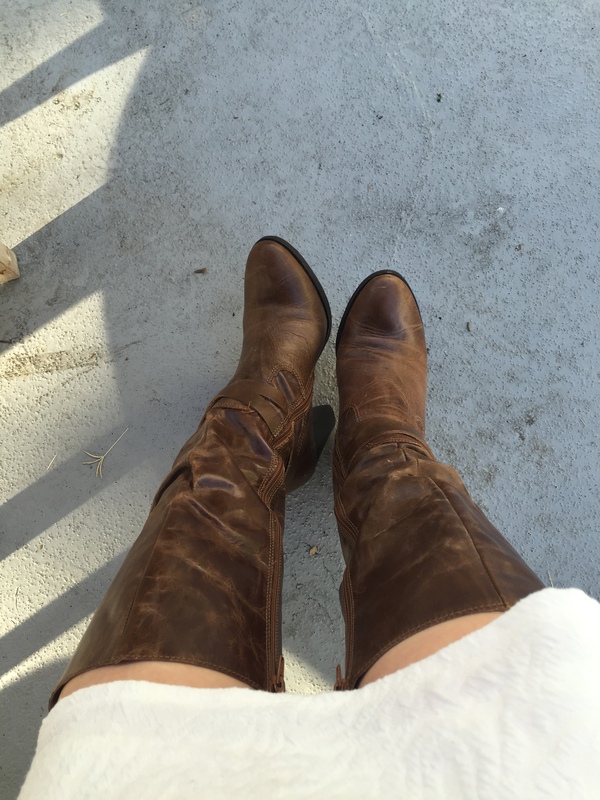 Lastly, I packed these boots. Until I put them on with my white skirt, I totally forgot how much I adore them. Win! Next postthe fair! the fair! So many wins… except for the ranch dip… Cheese Poofs l̶e̶s̶s̶e̶n̶ ̶t̶h̶e̶ ̶r̶e̶q̶u̶i̶r̶e̶m̶e̶n̶t̶ ̶f̶o̶r̶ defy dips. Yeah fuzz in ranch dip = no Bueno. You’d THINK that you don’t need ranch dip with cheesy poofs, and you’d be MOSTLY right…except white cheddar cheesy poofs with ranch dip is TO DIE FOR. Seriously.